Telling my story and helping you tell yours. Have your Pi and Eat it, Too! So basically, when you’re a full-time graduate student, you find anything that doesn’t involve sitting slumped over at your desk reading scholarly articles and writing academic papers. 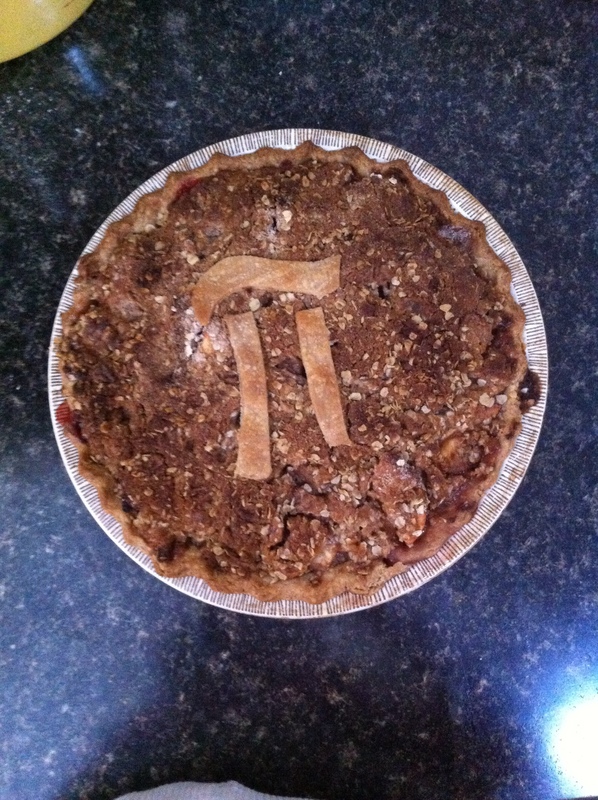 Today, that non-homework thing was Pi. I mean pie. I mean…yes? It’s Pi day! March 14 (3/14) is noted as pi day by math nerds everywhere. And trust me, I’m not a math nerd (although I may be a word nerd), but if there’s a day where I get an excuse to make and eat pie, I’m taking it. The bigger lesson to learn here is…have fun! This is me giving you permission to not always take life so seriously…and to eat pie. So go have your pi and eat it too! Storytelling Coach by day, freelance writer by night, follower of Jesus at all hours. || Online Managing Editor at Shattered Media, Inc. Enter your email address to follow emilygehman.com and receive notifications of new posts by email.